If we’re being honest, there’s nothing super fun about painting a room. Sure, when all is said and done, the finished product is sure to wow. But even if you’re exclusively sticking to white, nailing down the perfect shade can be a stressful experience, to say the least. So, what if we told you that you no longer had to scour through 10,000 swatches or cover your walls in all-too-similar sample options to find the right hue? 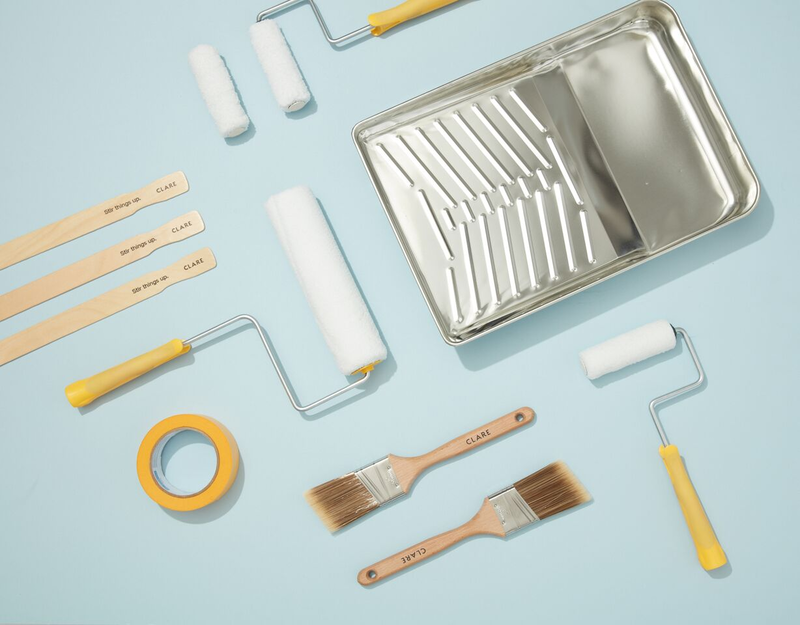 One new modern brand is taking the pain out of painting—and for just $49 per gallon, too! Meet, Clare: A direct-to-consumer, curated paint collection by interior designer and HGTV star, Nicole Gibbons. Inspired to simplify the paint shopping experience (because who actually wants to spend their time sorting through a stack of swatches of the same shade of beige), Gibbons’ millennial-friendly line (which officially launches July 31!) features a pared-down selection of style-focused colors. In an effort to help match customers with the right color, Gibbons and her team created Clare Color Genius, an interior design-based digital consultation that narrows down your color choices by taking into account factors like personal style, access to natural light, and existing furniture and decor. And what’s more? Clare lets you sample the can with their zero-fuss peel and stick swatches! Sounds too good to be true, right? We recently caught up with Gibbons to get the full scoop on her latest venture and how she’s hoping to make her mark on an outdated industry. Where did the name Clare come from? I know that you have narrowed the selection down to 55 colors. Why was that number so important to you? Do you have a favorite color (or colors) from the collection? We love that you have peel and stick swatches! Why did you decide to include this offering as well? I love the idea of Clare Color Genius and approaching this process from a designer-led perspective. How exactly does it match people with the right paint?